Asia Pacific Academy of Ophthalmology® (APAO®) has created this privacy statement in order to demonstrate our firm commitment to privacy. We only use information collected on the APAO® Web site for APAO® purposes and do not distribute this information to third parties. We use technology to protect the information you submit. Cookies are used to keep track of information and to allow a better user experience, and this information is kept confidential within the APAO®. The following discloses our information gathering and dissemination practices for this Web site: apaophth.org. We may use your IP address to help diagnose problems with our server and to administer our Web site. The APAO® Web site contains forms that may require users to sign in or to give us contact information (like their name and e-mail address). In the future, we may ask visitors for financial information (such their account or credit card numbers) and demographic information (like their zip code, age, or income level). Unique identifiers (such as social security numbers) may be collected to verify the user’s identity. Profile data may also collected at our site. All data is only used for APAO® purposes. Any financial information that may be collected will be used to bill the user for products and services. 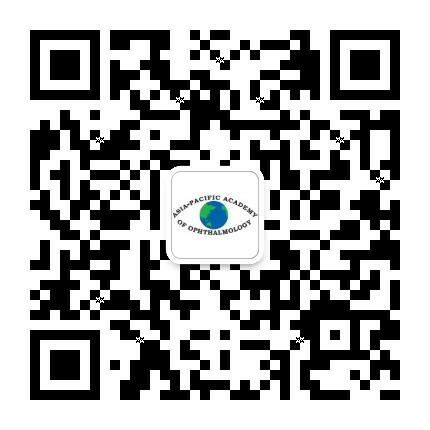 We may use visitor contact information obtained from forms to send visitors various information related to the APAO®, international ophthalmology and eye care. This site contains links to other sites. The APAO® Web site and the APAO® are not responsible for the privacy practices or the content of such Web sites. The APAO® will take measures to protect your e-mail address from inappropriate use. The APAO® may provide an e-mail address obtained from the Web site to a third party if the APAO® determines that the third party may have information of potential value to you. In that case, the policy below will apply. The APAO® determines if the use of e-mail addresses is of benefit to the holder of the e-mail address or may otherwise support the goals of the APAO®. The content of every e-mail correspondence is subject to advance approval by the APAO®. A sample of each intended e-mail correspondence must be reviewed and approved by the APAO®. Each set of APAO® e-mail addresses will be used only once and only for the purpose approved by the APAO®. An entity other than the APAO® cannot use APAO® e-mail addresses to create or update its own database. The e-mail address list is the property of the APAO® and may not be duplicated. Use of APAO® e-mail addresses does not imply APAO® endorsement, and no implication of endorsement will be made in any correspondence. APAO® e-mail addresses will not be made available for any communication on drugs, medical equipment or devices involving the offer of a rebate, discount, or other remuneration, which in the sole discretion of the APAO® may be illegal or unethical. APAO® e-mail addresses will not be made available for any communication that would tend to mislead, misinform, or deceive. This Web Site has security measures in place to protect the loss, misuse and alteration of the information under our control.